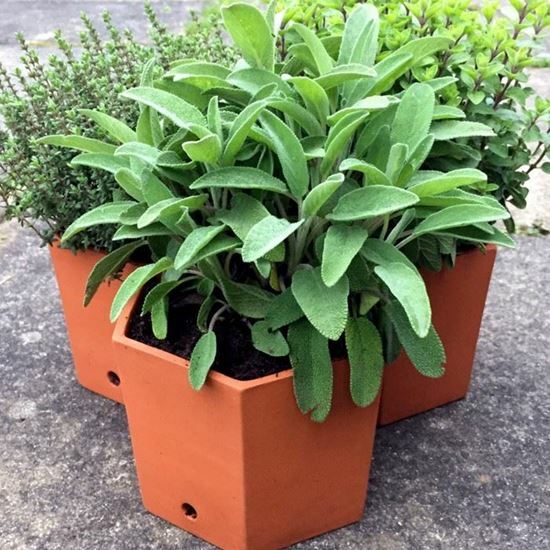 Our set of 3 hexagonal pots fit snugly together as an attractive honeycomb design creating a 'herb wheel'. 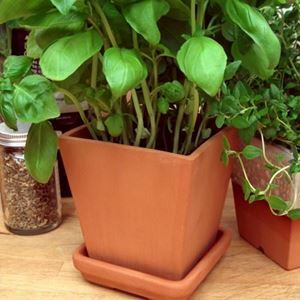 A great way to display fresh herbs in convenient proximity, whilst keeping their roots separate! 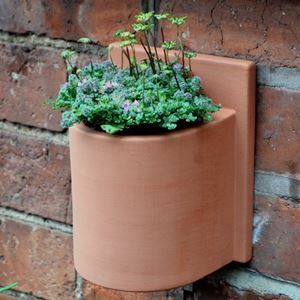 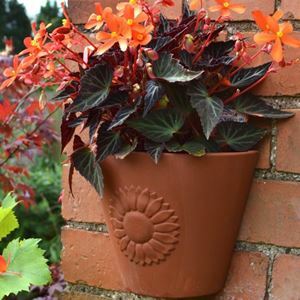 Each terracotta herb pot has a drainage hole to prevent water-logging. 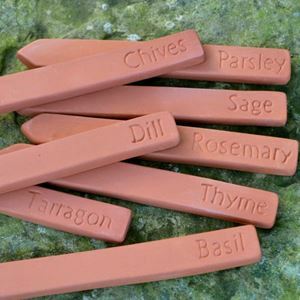 Made in our Newark pottery using finest UK terracotta clay.